Yes sports fans, my beloved Irish fell to the Wolverines of Michigan. Yes, people are saying it was a great game. I'll admit it was exciting, but great, not overly so from my sideline. Call this a "sour grapes" post if you wish, and I'll admit, sour grapes are probably an influence, but compiling this was actually a little bit fun. Bottom line, Michigan won, Notre Dame lost. I can deal with that. But I don't have to like it. Yes ND had plenty of blown opportunities to win the game I can deal with that. Yes in the 2nd half the Irish failed miserably in major facets of the game (Run Defense, Kicking Game, Playcalling in final minutes of the game.) As a coach, I always tell my kids that blaming referees doesn't change the outcome of a game. You can't control the referees and you have to learn to play through a bad call, but what I witnessed Saturday at "The Big House" was one of the most one sided, blatant, inept refereeing jobs I have ever seen. 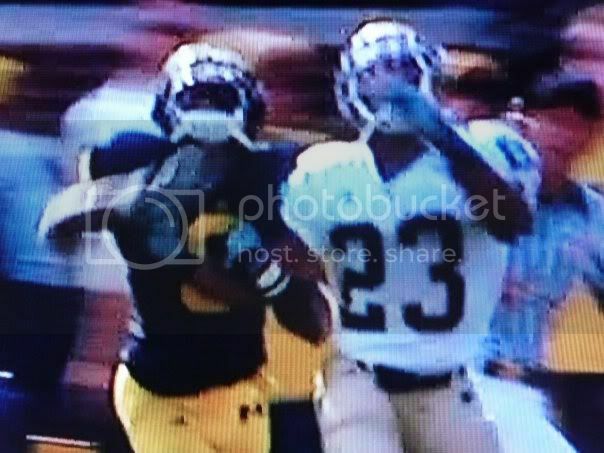 No disrespect to my friends who are Michigan fans, but I wanted to illustrate some blatant missed calls that not only influenced the game, but were so one sided it is inexcusable. 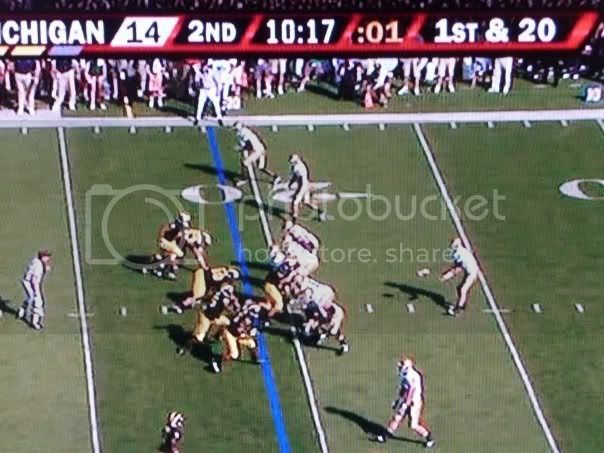 By the way, the referee crew was from the Big 10. Go figure. P.S. I left out the myriad of untimely holding penalties that were frequently called on ND throughout the game. Those crappy calls I can at least deal with. The ones I struggle with are below. 2. Delay of game called on an ND drive in the 2nd quarter. Note the time on the play clock and the ball (already snapped). 3. Some "great coverage" by a Michigan DB on Golden Tate. No penalty was called. 4. More "great coverage" Note Tate's right arm. Kinda hard to catch with one hand. 5. More awesome coverage. Tackling usually works pretty well. NO FLAG. 6. And now for some personal fouls. You know like the one called on Armando Allen after the 2 point conversion late in the 4th quarter for "shushing" the crowd. Somehow this didn't get flagged.Roll the footage. 7. Here is another great cheap shot. Remember Armando Allen got a 15 yard penalty for saying shhhh to the crowd. 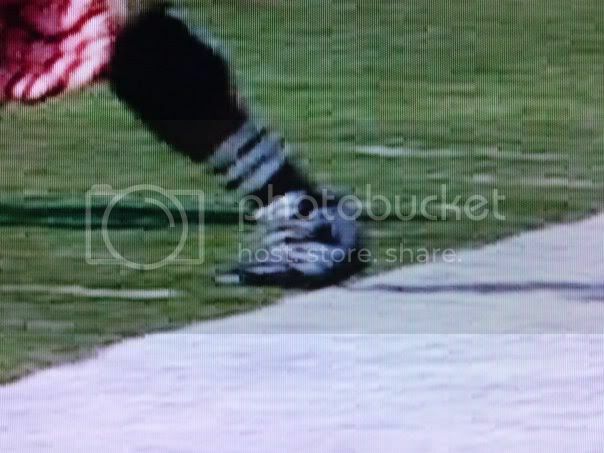 How does this not get flagged. It's right in front of the same ref who flagged Tate. 8. I'm still trying to find a youtube video of the Sam Young "Hold" that was called on the 73 yard pass play to ND TE Kyle Rudolph. I'll embed that when I find it. ND did it's fair share to lose this game, but I believe the horrific officiating influenced the game more than it should have. This is so awesome. You totally got screwed. Sorry about that.